One really is the loneliest number. 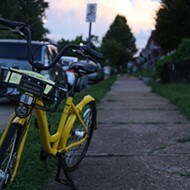 One month after Lime announced it was eliminating its fleet of bicycles in order to pivot to scooters, one lonely bright green bike sits at the corner of Fyler and Voerster in the city's Northampton neighborhood. 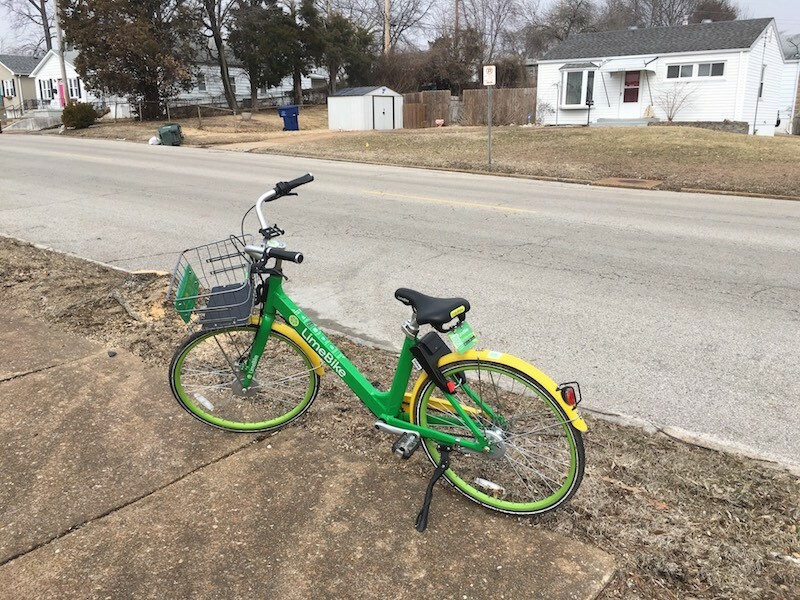 Far from the hipster-heavy, tourist-friendly areas where Limes once proliferated, this sad little bike sits in an unphotogenic part of town, a shiny California import in a sea of Midwestern gray. 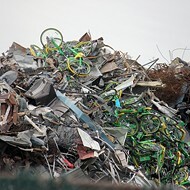 The venture capital that financed him has opted for a shiny new plaything, and his brethren have been consigned to a north city scrapyard. 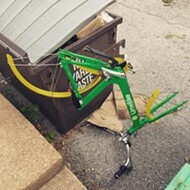 Yet his jaunty yellow-and-green styling speaks to happier times, to the days when St. Louis still pedaled things, not just stood lumpenly while a motor did the work. Those days are gone. Or are they? 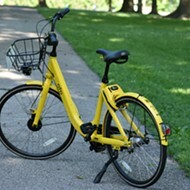 Is this bicycle not proof that, as the prophets foretold, bike finds a way? 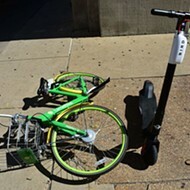 Indeed, we've seen reports not only of the occasional Lime left in our city, but also goddamn OFOs — the Chinese-backed bikes that officially pulled out of St. Louis last July. We might posit that these remnants of our heady tech dreams are less the E.T. 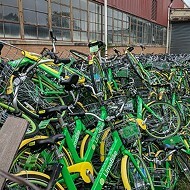 who needs to phone home and more an endangered species: Their environment has been destroyed by both potholes and scooters, and they're hunted by the men who'd turned them to scrap, with few breeding pairs left. They have become St. Louis' snow leopards and panthers, appearing only briefly on surveillance cameras before scurrying into the underbrush under cover of night. 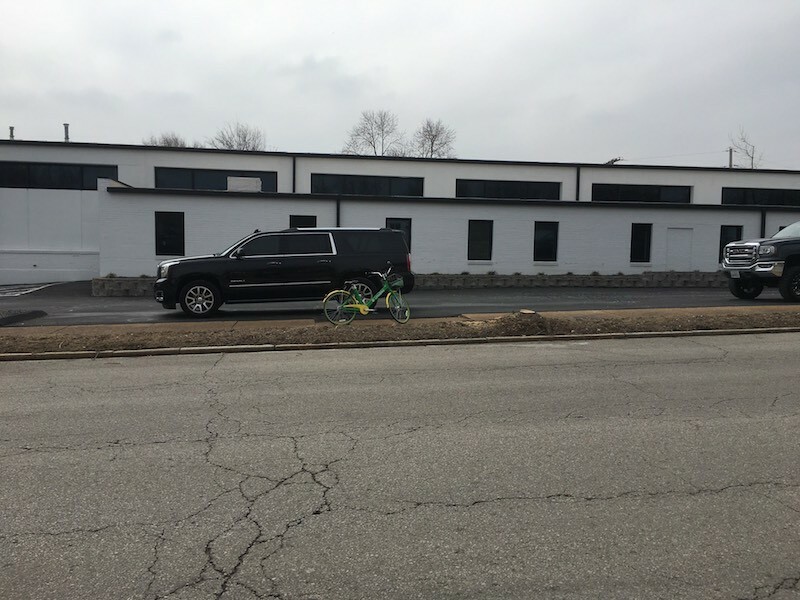 So pity not this Lime bike, spotted alone in a random part of the city on a desolate day. 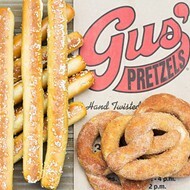 Instead root for him. 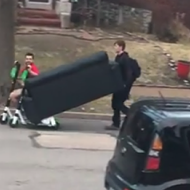 Pray that some conservation society may yet dismantle his proprietary batteries and unleash him back into the wild, where a St. Louis child may yet claim him for exercise. 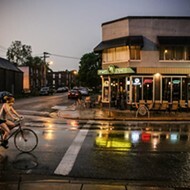 Say it with us: Bike finds a way. "Allllllll by mysssself.... don't wanna be .... allll by myself .... any more."